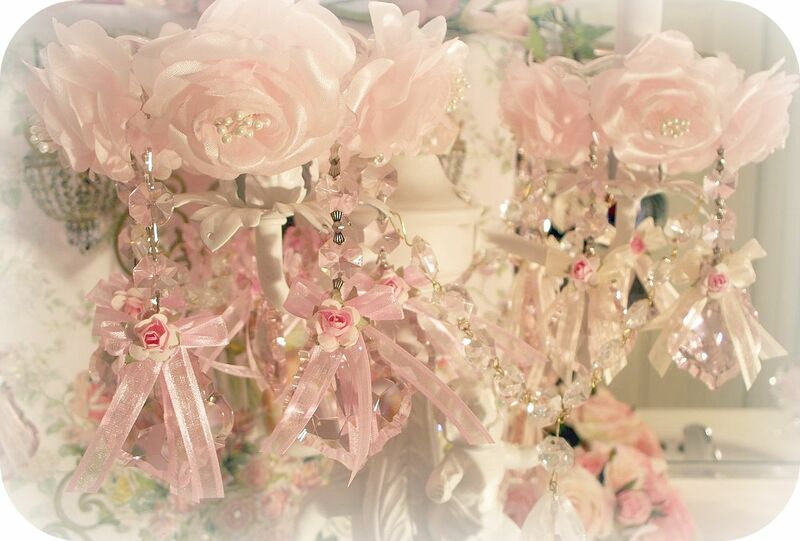 Our crystal roses bobeches are the utmost of luxury! Perfect for your chandeliers and candelabras! Made of all-crystal 2.5" pink french prisms (4pcs!) and a crystal bobeche cup with pink octagonal crystals cascading from it. 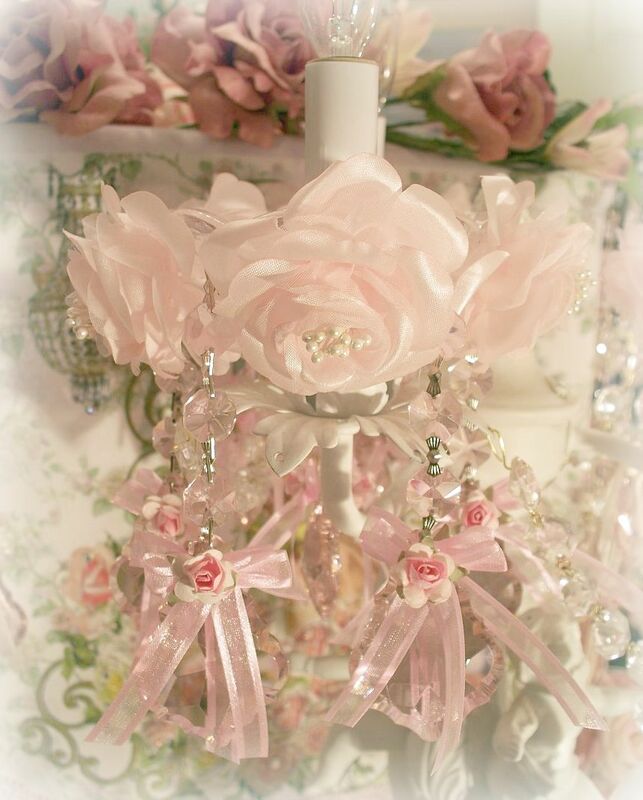 Silver brass bow ties connect every crystal and the crystal cup is accented by 4 beautiful large handyed, handcrafted milliners' roses with pearl centers. 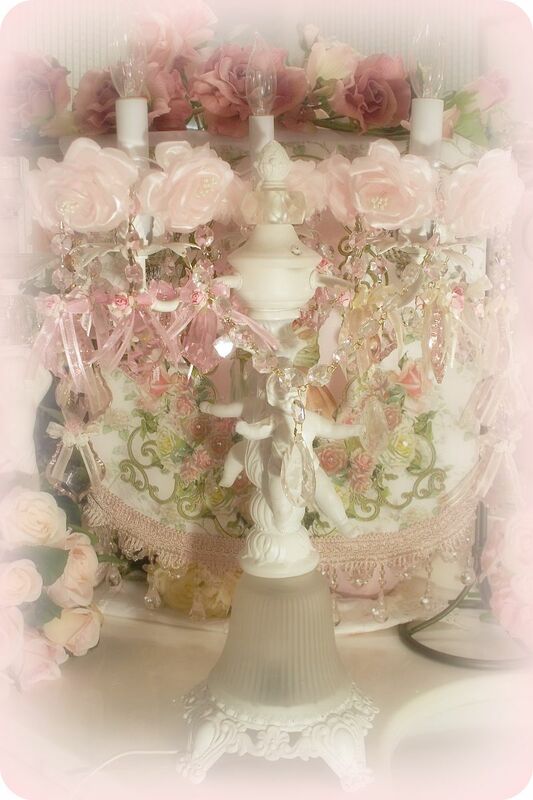 8 Dainty little bows and 8 miniature hand made rosettes adorn the French prisms on both sides. Measures: Approx. 6" wide (with Roses) by 6" long to the bottom of the french crystals.